Railroadfan.com • View topic - Would You Rather? AARR wrote: Would you rather travel the world for a year all expenses paid or have $50,000 to spend on whatever you want? Would you rather have dyslexia or be color blind? Would you rather live without hot water for showers / baths or live without a washing machine? AARR wrote: Would you rather live without hot water for showers / baths or live without a washing machine? Would you rather spend a day with the railroad crew of your choice or spend the day panning for gold and getting to keep what you find? Michael wrote: Would you rather spend a day with the railroad crew of your choice or spend the day panning for gold and getting to keep what you find? Would you rather have done something horribly embarrassing and only your best friend knows or not done something horribly embarrassing but everyone except your best friend thinks you did it? AARR wrote: Would you rather have done something horribly embarrassing and only your best friend knows or not done something horribly embarrassing but everyone except your best friend thinks you did it? The 1st. After all they are my best friend Beside I don't even know how the 2nd is possible. Would you rather have free car repair service for the rest of your life or free dental service for the rest of your life? Michael wrote: Would you rather have free car repair service for the rest of your life or free dental service for the rest of your life? Free auto service . Are you offering . AARR wrote: Would you rather have free car repair service for the rest of your life or free dental service for the rest of your life? Would you rather have a new mattress of your choice or a new pillow? Michael wrote: Would you rather have a new mattress of your choice or a new pillow? Would you rather do a TED talk or sing a song on stage at a concert with your favorite singer? AARR wrote: Would you rather do a TED talk or sing a song on stage at a concert with your favorite singer? Would you rather always be 1 hour early to everything or alway be 20 minutes late? Michael wrote: Would you rather always be 1 hour early to everything or always be 20 minutes late? 20 minutes late...less wasted time . Would you rather have corporations know all of your computer usage or the government know all of your computer usage? AARR wrote: Would you rather have corporations know all of your computer usage or the government know all of your computer usage? Would you rather have $10,000 in your pocket or have the charity of your choice get $100,000 anonymously ? Michael wrote: Would you rather have $10,000 in your pocket or have the charity of your choice get $100,000 anonymously ? Would you rather only be able to drink from a straw or only be able to use a spoon (no fork)? AARR wrote: Would you rather only be able to drink from a straw or only be able to use a spoon (no fork)? Would you rather have a tiny getaway place nearby or an awesome getaway but it is a 4 hour drive? Michael wrote: Would you rather have a tiny getaway place nearby or an awesome getaway but it is a 4 hour drive? Would you rather be ignorant of harsh truths but convince people your ignorance is reality or comprehend harsh truths but no one believes you? AARR wrote: Would you rather be ignorant of harsh truths but convince people your ignorance is reality or comprehend harsh truths but no one believes you? Would you rather be able to forget the things you want to forget or remember the things you want to remember? Michael wrote: Would you rather be able to forget the things you want to forget or remember the things you want to remember? Would you rather have free-will but be a slave or have your will controlled (brain washing) but you think you're free? 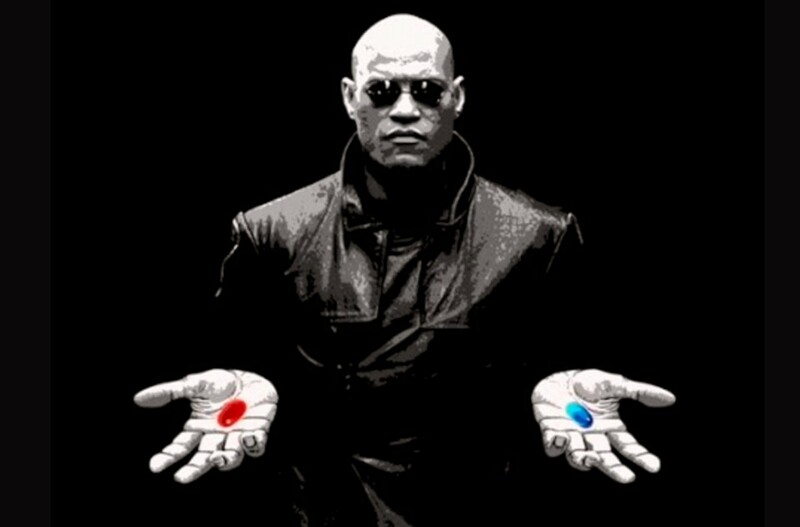 AARR wrote: Would you rather have free-will but be a slave or have your will controlled (brain washing) but you think you're free? Would you rather always speak loudly or always speak in whispers? Michael wrote: Would you rather always speak loudly or always speak in whispers? Would you like to know the meaning to life but have everyone hate you or be innocently ignorant of important things but have everyone like you? AARR wrote: Would you like to know the meaning to life but have everyone hate you or be innocently ignorant of important things but have everyone like you? I would RATHER do the second but I'm going to so the first. You know me by now. Would you rather spend an entire year teaching Kindergarten still receiving your regular salary (with all those days off) or do your regular job for the same pay?